Oakland based artist Ruth Boerefijn and Los Angeles based artist Bia Gayotto will premiere new works, produced while in residence at the Lucas Artists Residency, that together depict a multilayered portrait of the Silicon Valley. Boerefijn’s Communicated Experience is an ephemeral site-specific installation in which the artist translates the experiences and individual stories of three pioneering women who are important figures in Silicon Valley’s history — Alice Phelan Sullivan, sister of California Senator James Duval Phelan and founder of Little Children’s Aid; Alice Iola Hare, a photographer whose work provides us with a unique glimpse into life in the Santa Clara Valley in the early 1900s; and Clara Shortridge Foltz, who resided in San Jose from 1875-1878 where she authored the Woman Lawyer's Bill and became the first female lawyer in the United States. Boerefijn uses a variety of materials to examine her relationship to these women and to explore and communicate their personal histories. 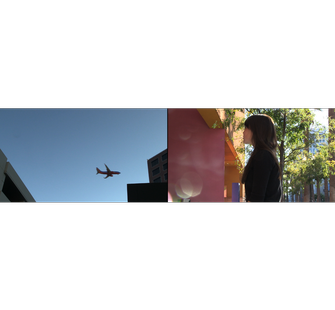 Gayotto’s Somewhere in Between: Silicon Valley is a two-channel video installation that poetically explores the contemporary intercultural experiences of Silicon Valley's first and second-generation immigrants. Based on an open call, residents are invited to participate in an interview and video shoot. The two-screen installation juxtaposes cityscapes, architecture, and domestic settings with portraits of the participants performing simple, everyday actions. The audio consists of ambient sound and voiceover, revealing a state of mind typical of those who live in an intercultural space. Through their distinct work, the artists explore the complex relationship between people, place and story, examining and translating into visual forms feelings of belonging, displacement, and human interconnectivity. 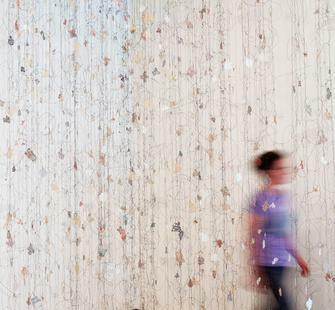 This exhibition concludes the Art Center's 2012 theme Montalvo: Past, Present and Place. Inspired by the historic Villa's centennial year, a series of exhibitions, conversations and performances have examined Montalvo's multifaceted histories, diverse communities and its relationship to the broader context of Silicon Valley. In and Out of Place is organized by the Lucas Artists Residency Program. FREE PUBLIC WORKSHOP: STORIES OF PLACE - Saturday, December 8, 1-3pm, in the Historic Villa and the Project Space Gallery. RSVP strongly encouraged: email lbaines@montalvoarts.org. Wear comfy shoes as some walking is involved. Hear former president of the Montalvo board Jane Goldbach recount stories about the history of Montalvo, and learn how to prepare and collect meaningful oral histories about your family and community with historian Margo McBane.